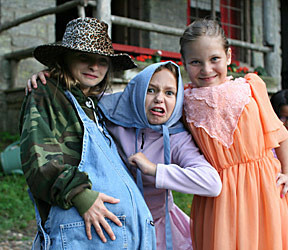 I spotted an article discussing how parents can understand why residential summer camps are worth their cost. 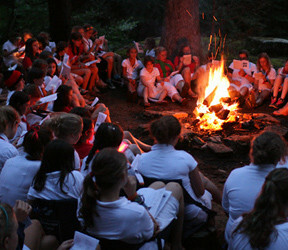 It’s true; sleepaway camps are usually expensive and can cost between $1000 and $2000 per week. 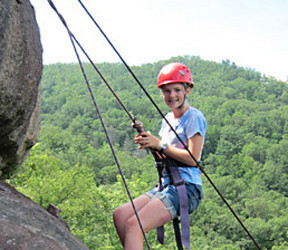 And while it’s also true every summer activity (e.g., other educational opportunities, extracurricular activities, family vacations, trips, and entertainment) costs something significant, what are the unique benefits of an overnight camp experience that can justify its price? First of all, the American Camp Association has a lot to say about the benefits for youth of attending summer camp. We have written about it before here and here (and especially here! ), but you should visit the ACA Web site to see what they say. One clear, obvious benefit to camp is the fun and concrete skills kids gain from the wide range of camp activities available. 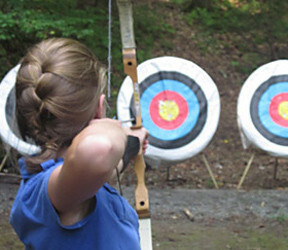 By trying everything at camp, girls learn how to be an archer, a swimmer, a knitter, a tennis player, an actor, and a horseback rider, to name just a few. 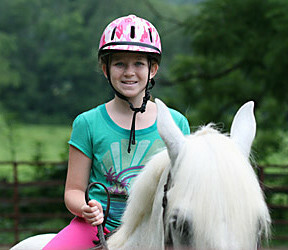 They learn to do things, exciting new things that can easily turn into life-long pursuits. 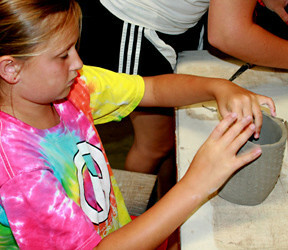 Perhaps more importantly, a quality camp experience provides kids intangible benefits as well. Here’s how one camp director in the article put it. More than other summer activities, a sleep away summer camp experience endows children with valuable life skills, provides positive adult role models, supports them with consistent encouragement, and all within the kind of well-rounded wholesome environment all too rarely found these days. These are lasting benefits that can really make a difference in a child’s life as she becomes an adult. It’s pretty clear; with that kind of benefit, camp is definitely worth it. 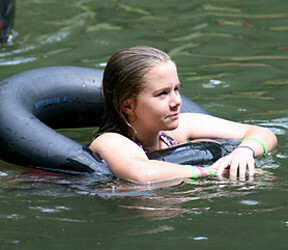 14 Responses to "More Benefits of Youth Camp"
There are a ton of benefits that kids can get from attending summer camp. As the article points out, most kids will gain a lot of skills. Not only are these camping skills, but they will gain social skills from playing with kids their own age. I like how you point out that summer camps will teach your kids how to do new things that could turn into life-long pursuits. My daughter has been moaning about how she’s been bored this summer. I think that sending her to a camp would be a good option for her. 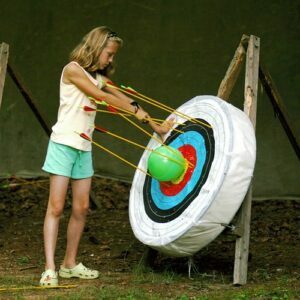 I like how you said that kids gain specific skills from going to summer camps. Due to my job, my time with my boys has decreased over the past few years. Teaching them camping techniques and things like that has become increasingly difficult. Hopefully, we could send them to a summer camp to help them learn those things that I am unable to do now. It was really nice how you said that kids will have fun and learn concrete skills from the wide range of activities that they can participate in while attending summer camps. I guess that’s the reason why my sister has been trying to convince me since last summer to let my daughter join the summer camp. I rejected her idea thinking that it might be dangerous for my little girl, but now I think that it’s worth a try. I’ll just have to make sure to entrust her to the right people. Thanks. I agree, if there is any one reason for kids to attend summer camp it is the skills that they can learn. 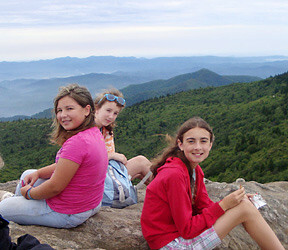 A summer camp teach kids traditional skills like camping, cooking over a fire, etc. However, in addition to that, summer camps can teach kids all kinds of communication skills and team building experiences. Summer camp seems like a great thing for my children to try. Like you said, they can gain a ton of skills all in one summer. 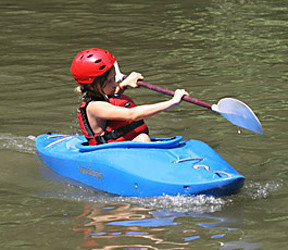 One thing my kids need more of is outside activity, so camp would be great for that! 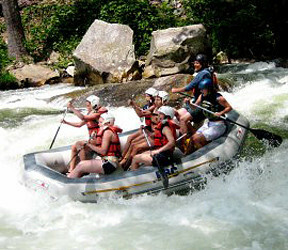 I agree that one of the benefits of youth camps is that it allows them to experience something new and have fun. I remember I went to a variety of different camps with my brother. We met a lot of fun people. Some of these people I am still friends with today. Children will also get the right kind of opportunity to interact with other children and in addition to having fun, they can learn some important aspects related to their life like how to share, how to interact with other people and they will also learn many other life skills as well. 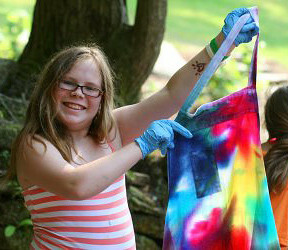 Sending your child to summer camp will also add social interaction into their lives. 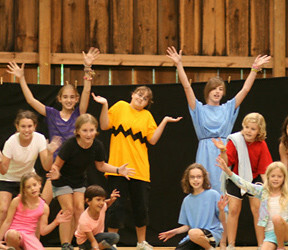 Kiddie Academy is holding camp sessions where children can focus on dramatic play, sports, music, and computers.